Now I'm hungry for a strawberry/rhubarb pie. Yummy. It looks really good even though you took the photographs with your phone. Just saying. I'm coming over for a slice. Looks delicious, Linda! Betty and Martha would be envious I'm sure. Sounds like a perfect way to "break the fast" - have a great Monday. I have a (very) small plot of rhubarb growing in my garden and I adore rhubarb crumble. Unfortunately sweet stuff is out of the question for me now so I give the rhubarb to either my Dad or my MIL who absolutely love it. OMG, Linda! I love, love, love rhubarb pie -also rhubarb sauce too! 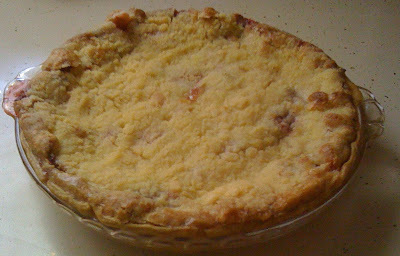 My grandma always made rhubarb pies with a lattice top and her recipe-which I have but have never tried as our rhubarb patch went missing several years ago -(and I refuse to pay the outlandish prices they charge for a pound of rhubarb in the grocery stores here) so I haven't had rhubarb anything in a long, long time. A couple of weeks back though my neighbors' daughter brought me some rhubarb plants so I can start my own rhubarb patch once again! Hope they grow for me now! I don't know if a blogger named Technobabe follows your blog or not, but if she doesn't I'm gonna send her your way as she wanted a good recipe for rhubarb pie and I had sent her my Grandma's -which might be a little difficult to follow seeing as Grandma had her own methods in putting her recipes down to paper. I hope she had listed ALL the ingredients and steps in that recipe, ya know. That pie of yours looks absolutely awesome and has my mouth watering like crazy now for some of the same! Great post too in explaining what rhubarb is too, by the way! Interesting. You have made me consider...the next time we're out for pie, I shall see if they have any strawberry/rhubarb so I can taste. 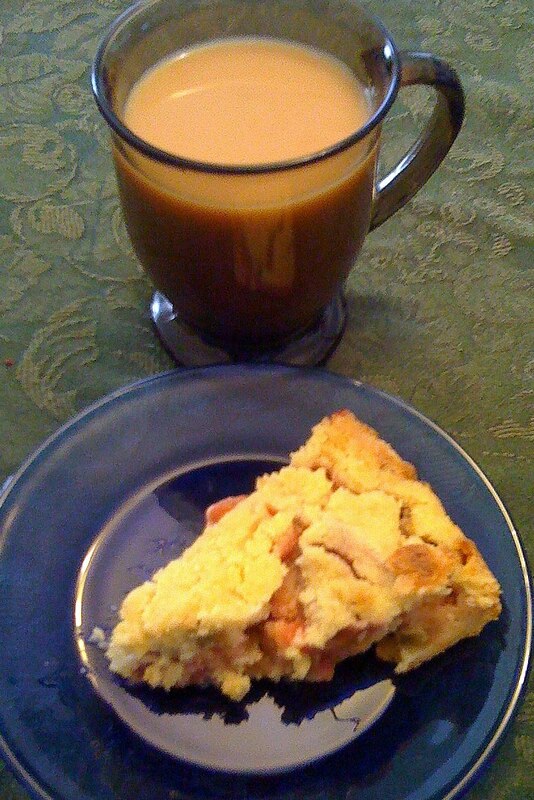 One of my favorite memories from childhood is picking rhubarb from the back yard and grabbing a coffee cup with sugar in it. I'd dip the stem into the sugar and take a bite, dip and bite... well, you know the rest. I am jealous! 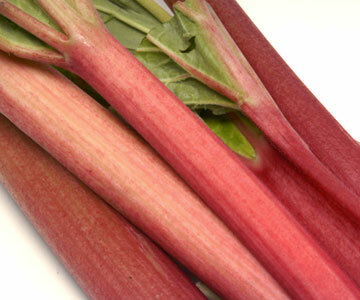 I love Rhubarb. My Mom had quite a few plants but we were a big family and it never went to waste. I can remember eating it raw like celery and Mom used to make the best Strawberry Rhubarb jam and a syrup for pancakes (you have got to try it with pancakes). 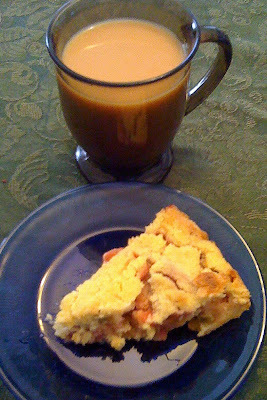 I did not get my first "Rhubarb Tart" till I met my Sweet Hubby. Thanks for great memories, good thing it is almost dinner time, I am hungry.